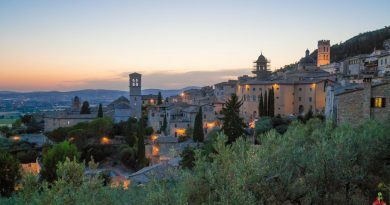 Known abroad primarily for its prosciutto and parmigiano cheese, Parma is, first and foremost, a town with a rich historic and artistic heritage. 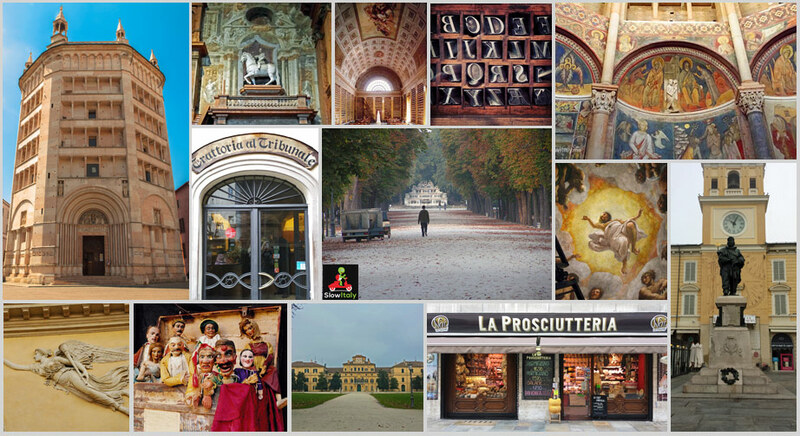 Even if your time in Parma is limited I’d very highly advise you to visit at least a few of the treasures listed below. 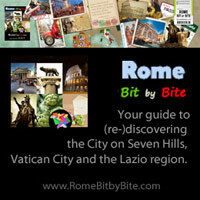 Starting as a celtic settlement, Parma became a Roman colony on the Via Aemilia in 183 BC. It was subsequently ruled by the Ostrogoths, the Lombards, the Franks, the Visconti, the Milanese Sforza and the French before being annexed by the Papal state in 1513. 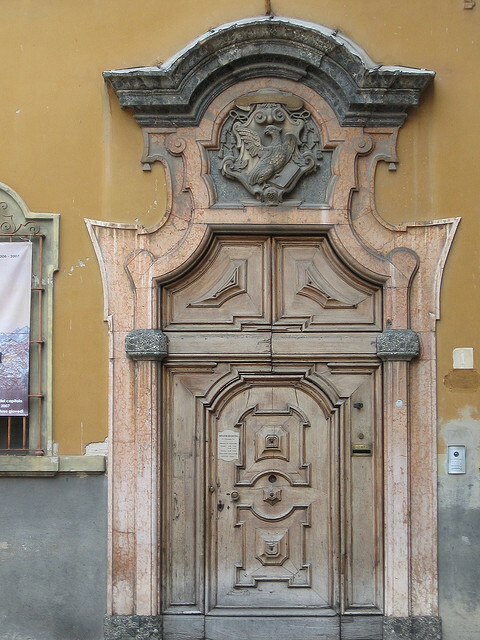 From then on, Parma would become a duchy under the Farnese dynasty, which would rule the city until 1731. The Palazzo della Pilotta, Teatro Farnese and the Ducal Palace all stem from this period, as well as the new Palazzo del Comune. After the Farnese, Parma was passed to the Spanish Bourbons. 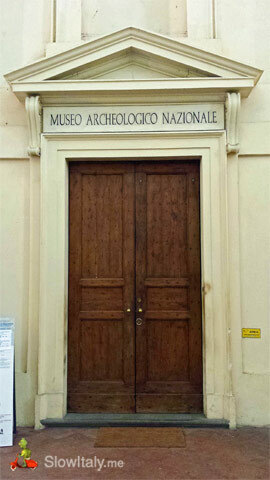 The Bourbons’ fondness for collecting lies at the origin of the Galleria Nazionale, the Biblioteca Palatina and the Museo Archeologica Nazionale. When the Bourbon heir Ferdinand married the favorite daughter of Louis XV, the town underwent a period of great French influence (1748-1801). 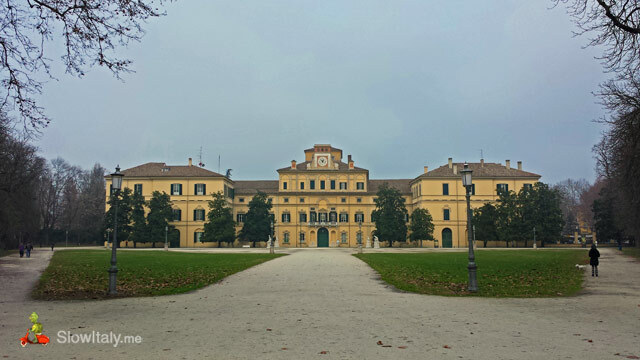 A lot of famous Frenchmen came to live or work in Parma, among which the famous writer Stendhal, who stayed in Parma in 1814 and chose it as the setting of his masterpiece La Chartreuse de Parme (The Charterhouse of Parma). In 1808, the Duchy was annexed to the French Empire and assigned to Marie Louise, Napoleon’s second wife, whose influence is still noticeable in many areas of the city. 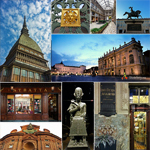 Other famous people associated with the city are the Parma-born conductor Arturo Toscanini and the famous painter Parmigianino, who, together with Correggio belonged to the Parma School of Italian Renaissance. 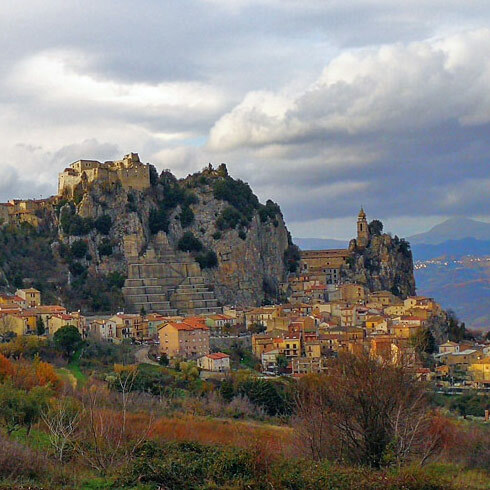 The opera composer Verdi was also born not far from here in Le Roncole, a village in the province of Parma. 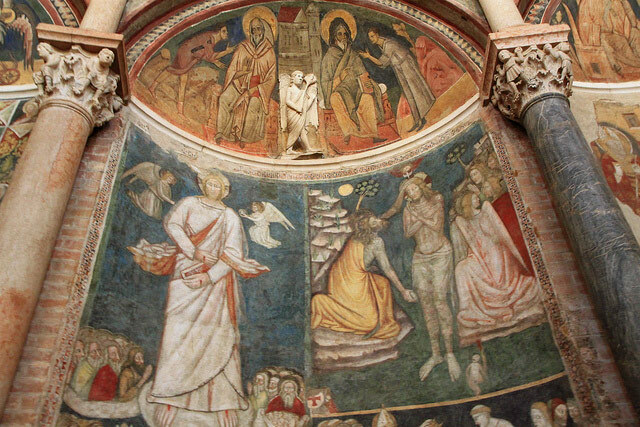 If you can only visit one landmark in Parma, it has to be the Baptistery. The magnificent, octagonal edifice is considered one of Italy’s most harmonious medieval monuments. 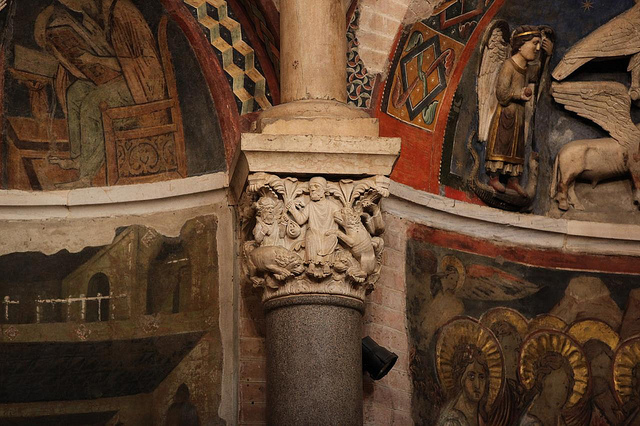 The Romanesque-Gothic building is entirely covered in the pink-colored Veronese marble and full of symbolic messages. 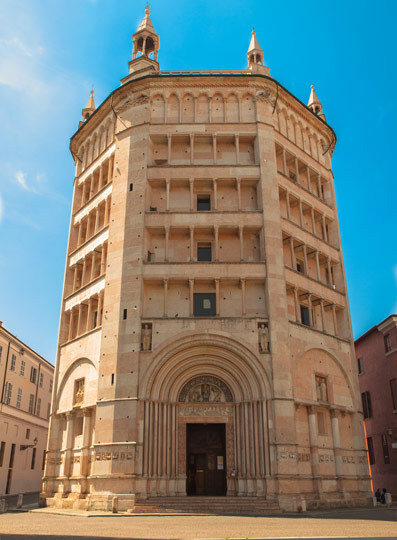 For more photos and info, see: Parma Baptistery. 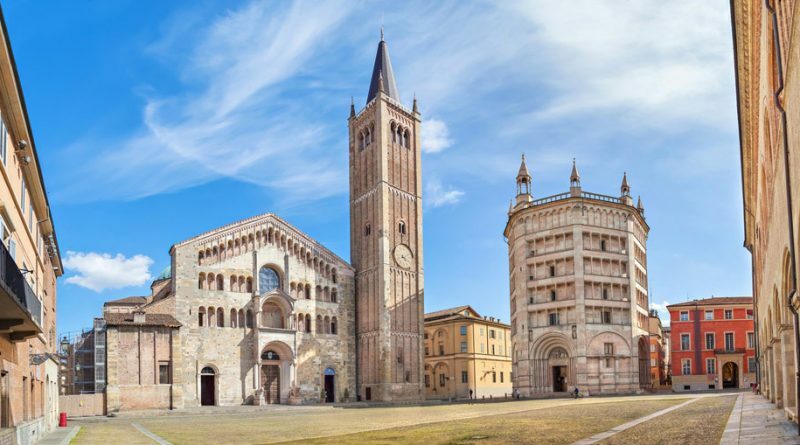 Parma is sometimes referred to as the city of the three hearts, in reference to the three squares that centralized the power of the city at different moments of its history: clerical, communal and Farnesian power, respectively. 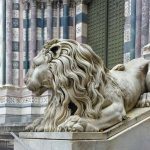 The first square in chronological order is Piazza Duomo, the medieval center representing the religious power of the Bishop Count. 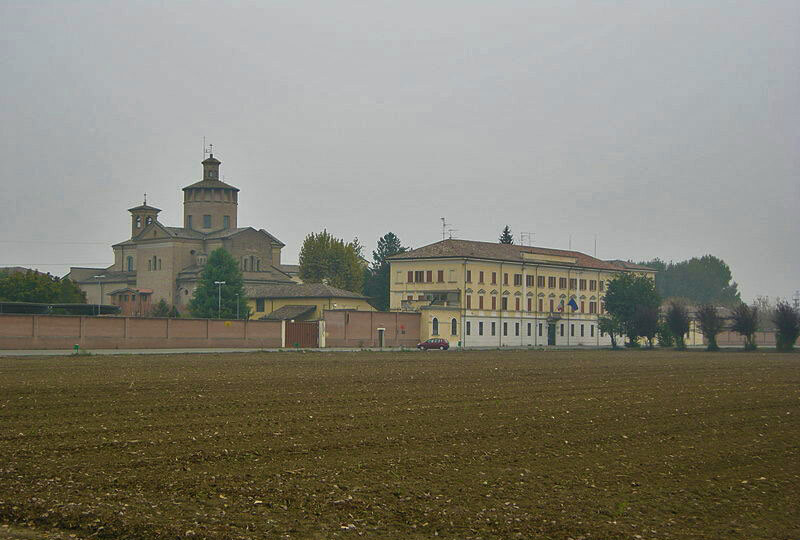 After decades of conflict, Parma enjoyed a period of peace during the second half of the 13th century, during which the communal government gained in power. 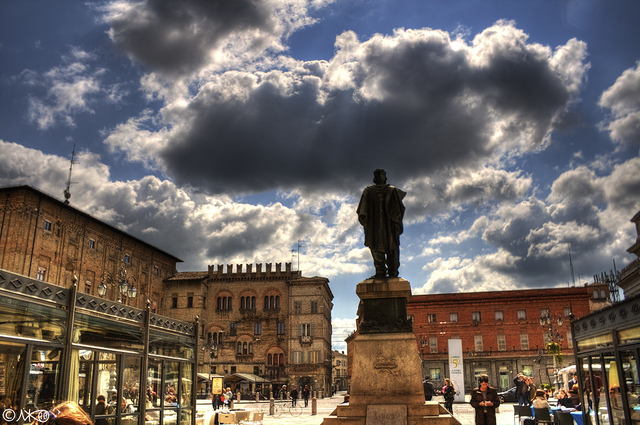 Piazza Garibaldi, originally called Piazza Grande, is the second square in chronological order, where the power of the administrative comune was centralized. Moving the main square of the city from Piazza Duomo to Piazza Garibaldi re-centered the city around the original Forum Romanum and relegated Piazza Duomo to the then outskirts of the city. 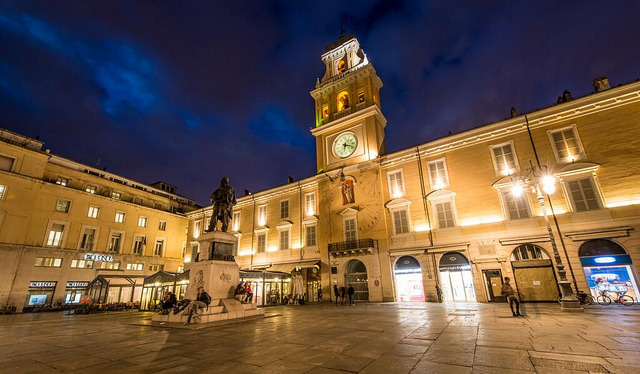 Piazza Garibaldi from the other side, with the Palazzo del Comune (Town Hall) by Giovan Battista Magnani (1672) on the left. 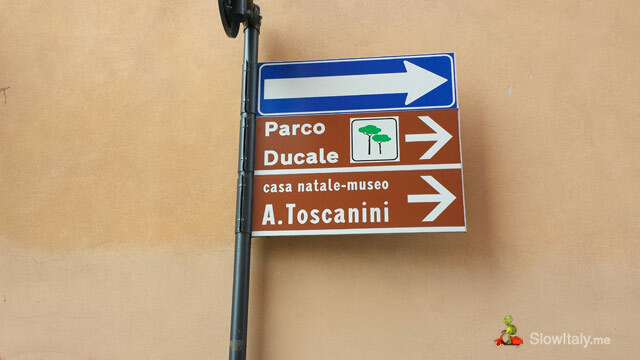 The third square is Piazza della Pace, which houses the Palazzo della Pilotta (see next point), and represented the center of power during the Farnese dynasty. 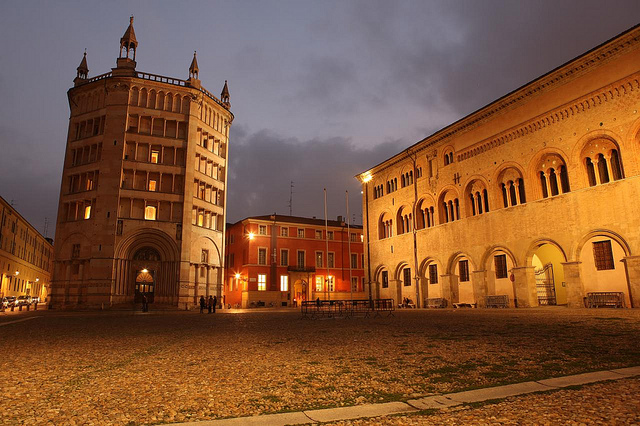 One of the most surprising historic buildings of Parma is without doubt the Palazzo della Pilota. Built around 1583, the unalluring and austere edifice doesn’t seem to follow any architectural plan or purpose. 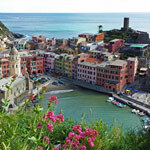 It includes various unfinished and slightly decaying buildings, including the ancient Dominican Church of Saint Peter. 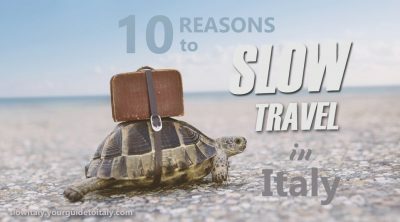 Yet, inside it hosts a treasure of some of the most interesting sights and attractions of Parma, among which the Farnese Theater, Biblioteca Palatina, Bodoni Museum, Museo Archeologica Nazionale and the Galleria Nazionale. The Teatro Farnese is one of the world’s most attractive theaters, and one of only three Renaissance theaters still in existence, together with the Teatro Olimpico in Vicenza and the Teatro all’antica in Sabbioneta. 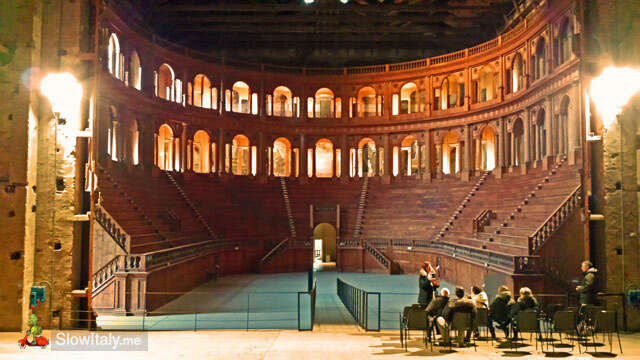 Designed by Giovan Battista Aleotti, based on the model of Palladio’s Olympic theater, the Farnese theater was entirely built in wood. 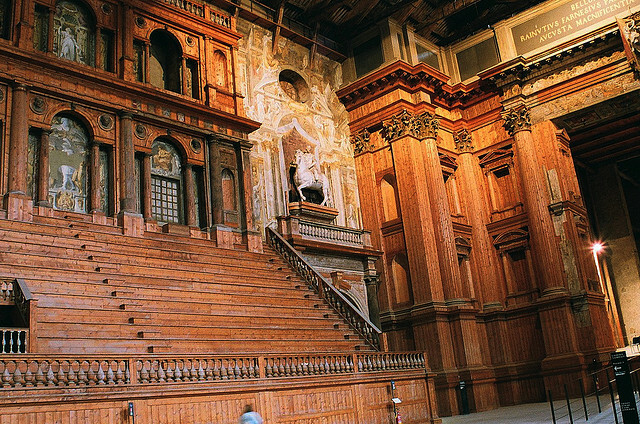 Wood was used instead of bricks because the commissioner of the theater, Ranuccio I Farnese wanted to impress Cosimo de’ Medici who was about to visit him and using wood allowed to finish the theater much faster than if bricks had been used. The theater was built in the former armory room close to where the stables of the palace were located. Unlike other theaters which are usually hemispherical in form, the Teatro Farnese is semi-oval in form with a huge stage. In many aspects the theater is quite innovative for the time using, for example, also moving scenes for the first time. Also housed in the Palazzo della Pilotta is the Biblioteca Palatina (Palatine Library), which did not actually start as a ducal library, but was intended to be a public facility from the start. 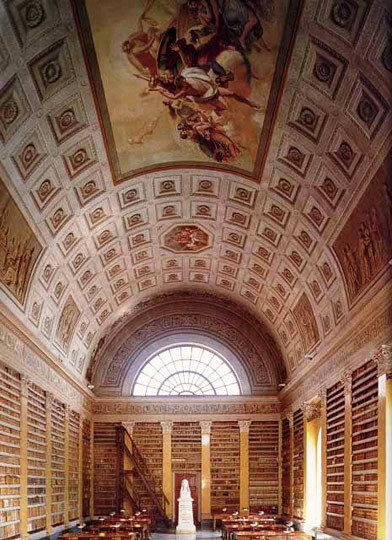 The collection of books is divided into six main classes: Theology, Nomology, Philosophy, History, Philology and the Liberal and Mechanical Arts. The cataloguing method using moveable cards was quite innovative for the time. Biblioteca Palatina – Maria Luigia reading room. Located inside the Palatine Library is the Bodoni Museum, dedicated to the famous Parmesan typographer, type-designer and printer, Giambattista Bodoni, who established the ducal printing house and became renowned for the Bodoni typefaces. 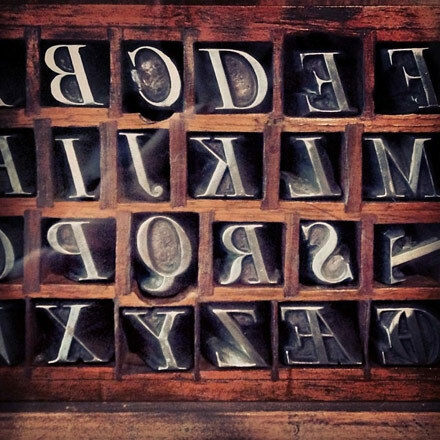 Bodoni type-faces, Bodoni Museum (Palatine Library). Also worth seeing inside the Palazzo della Pilota, in the National Archeological Museum and the Galeria Nazionale respectively, are the Tabula Alimentaria, the largest inscribed bronze tablet of antiquity to have survived, and La Scapigliata (Head of a Girl – c.1508). 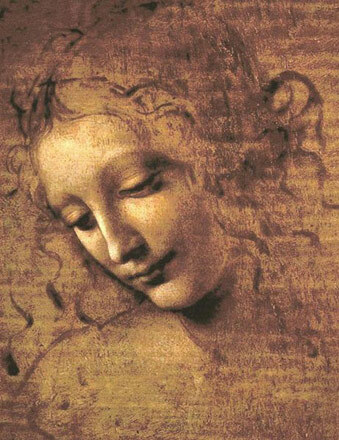 The latter is an unfinished portrait attributed to Leonardo da Vinci. 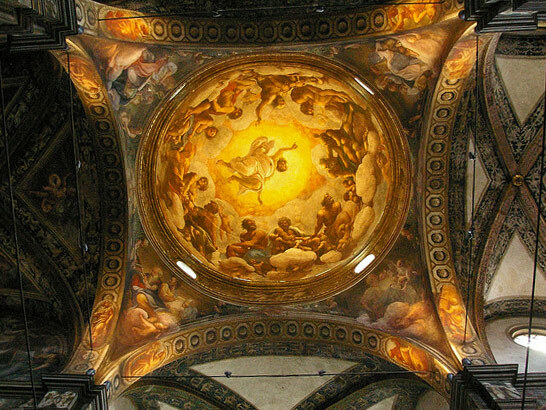 One of the masterpieces of Correggio is without doubt the dome of the Parma Cathedral, carried out between 1526 and 1530. 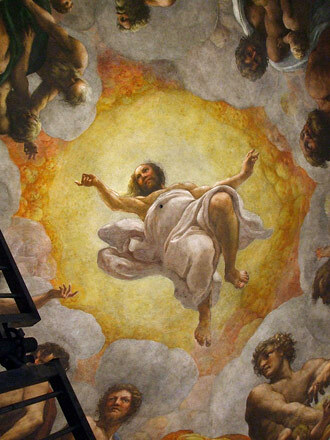 While this masterpiece represents the apotheosis in Correggio’s opere d’arte, his innovative style was not appreciated to its full extent during his life-time. As a result a dispute arose between the artist and the commissioners, which led Correggio to leave the works. The rest of the presbytery was finished by Gerolamo Mazzola Bedoli. One of the four patron saints of Parma, St John the Baptist with a lamb, seated in one of the four pendentives under the cupola(Parma Duomo detail). 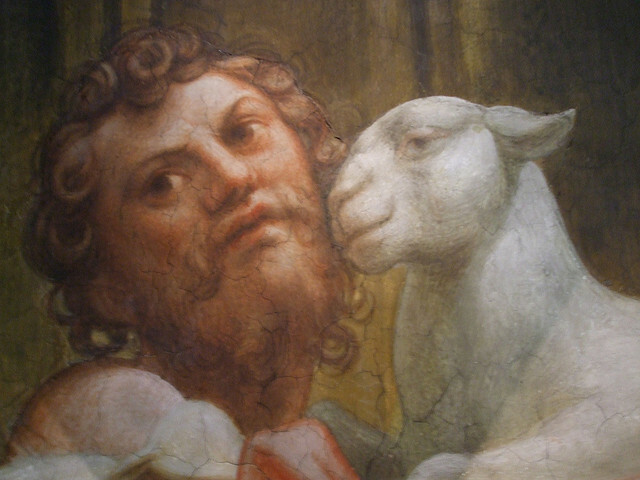 Frescoed by Correggio. 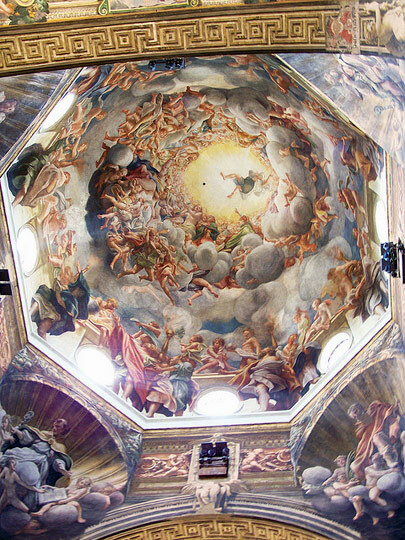 Prior to the dome of the Parma cathedral, Correggio frescoed the dome of the Church San Giovanni Evangelista, using the technique of ascending movement, which gives the illusion of an open sky. Another masterpiece by Correggio The Martyrdom of Four Saints (1524) is housed in the Galleria Nazionale of Parma. Of course, a visit to Parma wouldn’t be complete without tasting some of the delicious Emilian food. 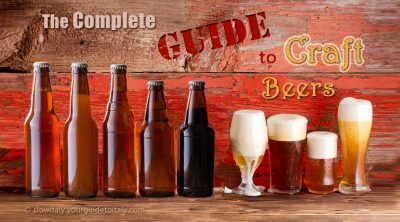 While the gastronomy of Emilia-Romagna is often referred to collectively, the culinary tradition of the historic regions Emilia and Romagna are quite contrasted. That of Emilia, to which Parma belongs, is based on butter and mellow sauces, while the Romagna cuisine is more zesty and strongly flavored. 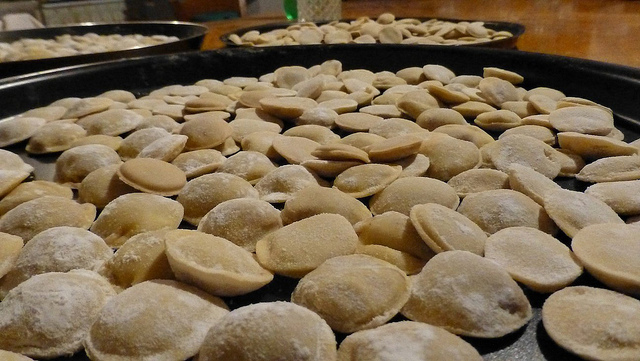 Emilia is the home of fresh egg pasta, which comes in a large variety of long, short and stuffed versions: anolini, cappellacci, cappelletti, gramigna, lasagne, maltagliati, pisarei, tagliatelle and tortelli. 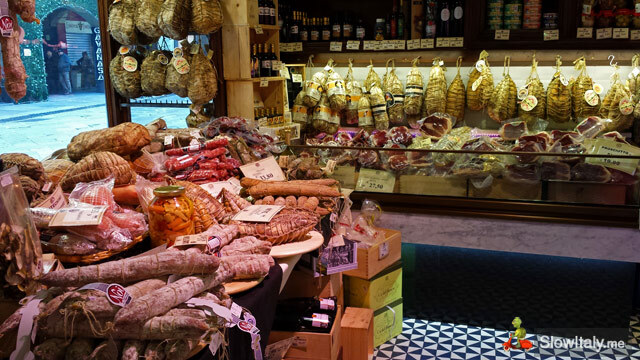 We recommend a visit to the Prosciutteria in Via Farini to admire its wonderful display of cured pork meats, cheeses and fresh egg pasta. 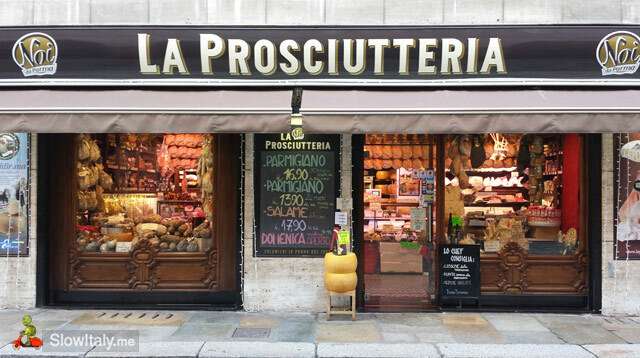 You may want to bring home some tortelli di erbette, prosciutto di Parma, culatello di Zibello and Parmigiano-Reggiano or Robiola. 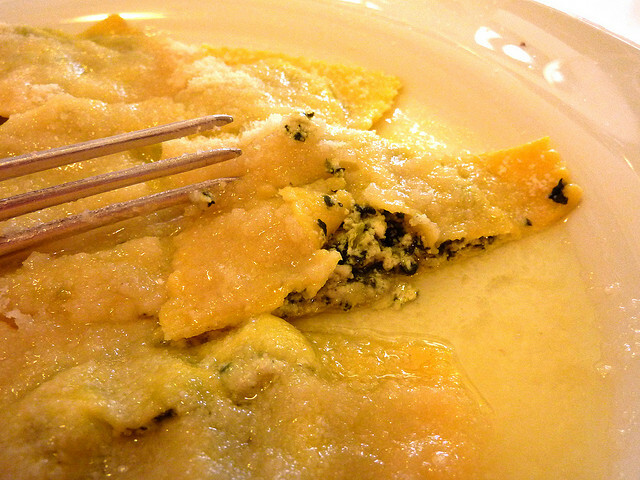 Tortelli di erbette, filled with ricotta, grated cheese and “erba bieta” (chard), known as “erbetta”. Castello dei Burattini-Museo Giordano Ferrari. 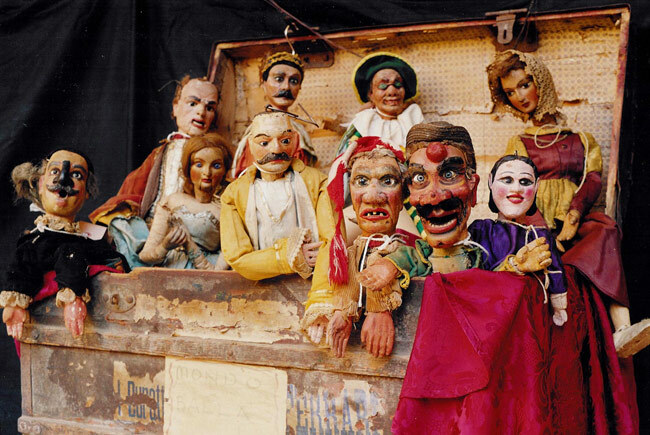 Founded in 2002 in honor of Giordano Ferrari, a Parmesan puppeteer, the Castello dei Burattini showcases an invaluable collection of puppets of international value. Giordani Ferrari was not only a very skilled woodcarver and puppeteer, but also an avid researcher and collector who dedicated his life to collecting testimonies of the work of generations of puppeteers. Starting with the mask of the Commedia dell’Arte the exhibition highlights the artistic traditions throughout the various geographical regions of Italy. 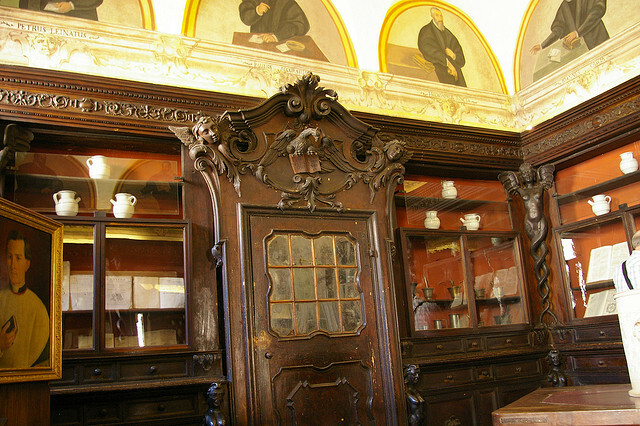 Founded before the 1200s, the ancient spice shop of the Benedictines of San Giovani Evangelista was once the most important pharmacy of the city. 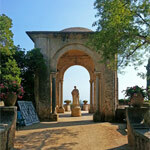 In operation until 1766 it was reopened to the public in 1959. The interior, which dates from the 16th and 17th centuries, includes frescoes and pharmaceutical paraphernalia. 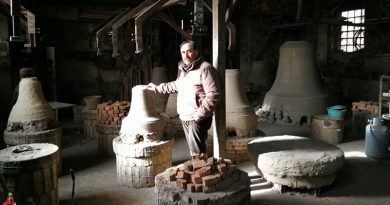 On the shelves you can admire the ceramic pharmacy jars and vases from the 15th to the 17th C, as well as alembics, retorts, mortars and other old tools used by the monks for the preparation of medicinal herbs and ancient medicines. 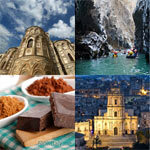 The historic pharmacy is located in the historic center, behind the cathedral, next to the Church San Giovanni. 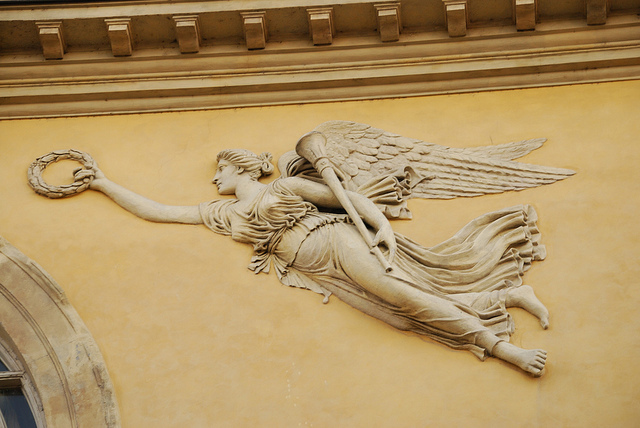 Bas-relief of Fame (Pheme), allegorical figure of fame and renown in Greek mythology, on the façade of the Regio Theater. 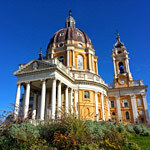 The opera public of Parma is known for being one of the most knowledgeable and demanding ones of Italy. The most important opera singers of the 18th through 20th centuries performed in the town: Farinelli, Raaf, Senesino, Lucrezia Agujari, Maria Callas, José Carreras. The early operas of composers such as Cimarosa, Paisiello and Rossini were also heard for the first time in Parma. The current opera house was built between 1822 and 1829, during the reign of Marie Louise and replaced the Ducal Theater which had been housed in the Palazzo della Riserva. 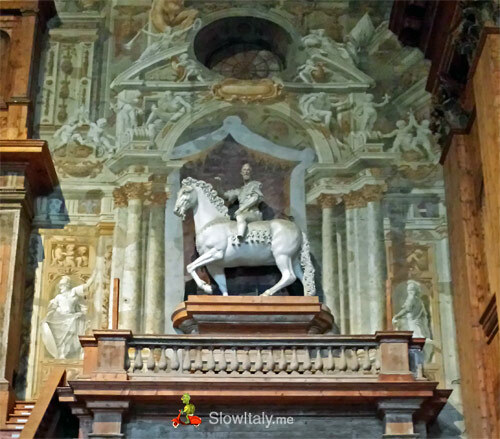 Almost across the road is the Madonna della Steccata (1521-25) decorated with frescoes by artists of the 16th century Parmesan school. At number 13 in Borgo Tanzi on the left bank of the river Parma (the same side where the ducal park is located) is the birth house of the famous conductor Toscanini. 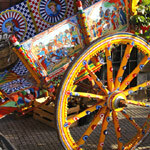 Now turned into a museum, the place features a wealth of interesting objects for music lovers. 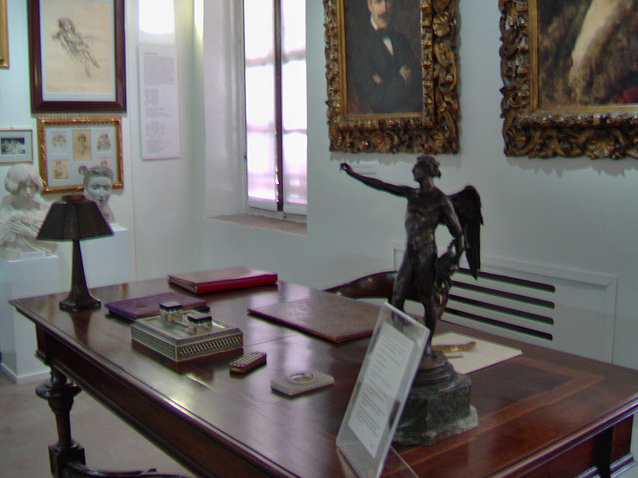 The collection includes documents and sculptures connected with the Toscanini family, Verdi and Wagner, as well as letters from Garibaldi and Einstein. 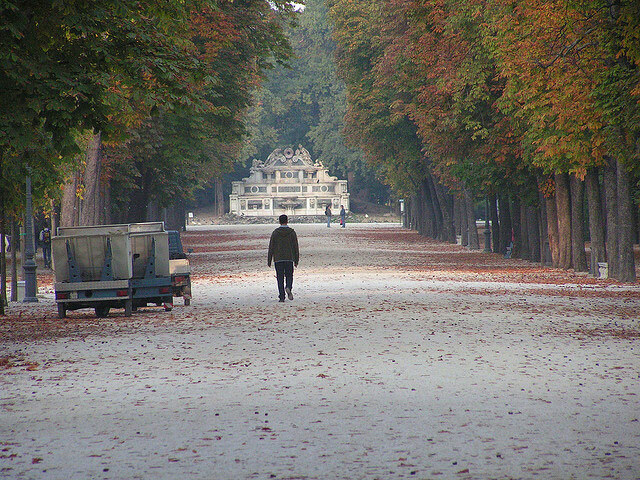 The ducal garden and ducal palace are located on the left bank of the river Parma. 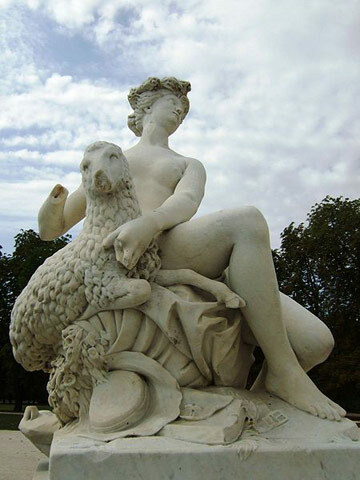 The park was landscaped by the French architect Petitot and adorned with statues by Jean-Baptiste Boudard, another Frenchman. 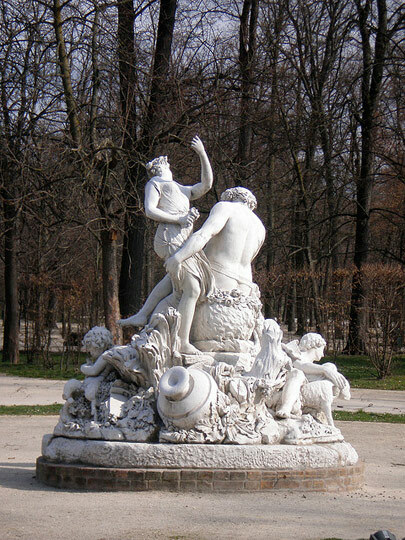 Statue in Carrara marble by Jean-Baptiste Boudard, representing a group around Silenus. 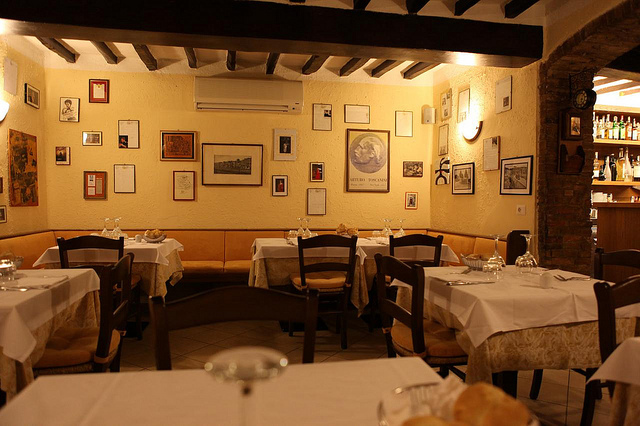 One of the iconic restaurants of Parma, is the Trattoria al Tribunale in Vicolo Politi (towards Piazzale Boito). Other good restaurants include La Filoma (close to Piazza Garibaldi), and the Osteria dello Zingaro (close to Piazza Duomo) and Corrieri (close to the univerisity). Created in 1916 by a small perfume factory in the historic center of Parma, Acqua di Parma was originally intended to perfume the handkerchiefs of Italian gentlemen. 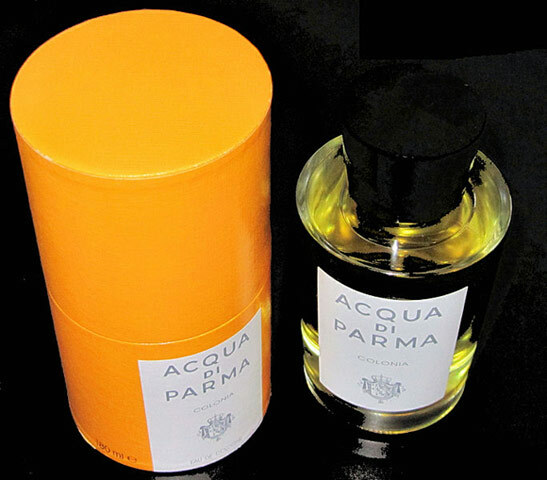 At that time, the trend was toward heady and heavy scents, so the unusually light and fresh fragrance of Acqua di Parma Colonia soon gained international success, both among men and women. After a few difficult decades following World War II, the brand was revived in 1993. 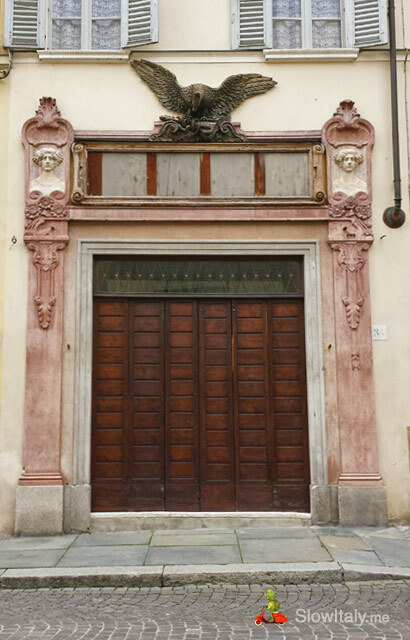 One of the beautiful places to stay in Parma is the Palazzo Dalla Rosa Prati, literally next to the baptistery. Still owned and partly inhabited by the noble family after whom it is named, the hotel has a wonderful atmosphere of once upon a time. 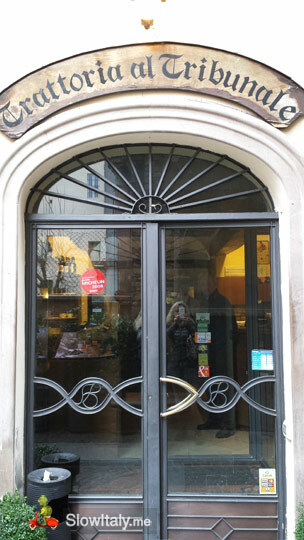 Another beautiful hotel in Parma is the Art Nouveau-style Hotel Croce Bianca, one of the most prestigious hotels in the city, located in Piazza della Steccata. The artists who performed at the Regio theater usually stayed here. At the end of our visit of Parma, one question remains: which was actually Stendhal’s Charterhouse of Parma? 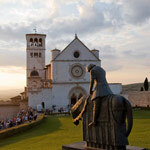 Two monastic complexes could compete for the title: the Certosa di Paradigna or Convent of San Martino dei Bocci, founded in 1298, and the Charterhouse of San Girolamo or Carthusian monastery, commissioned in 1285 by the bishop of Spoleto, Rolando Taverna. 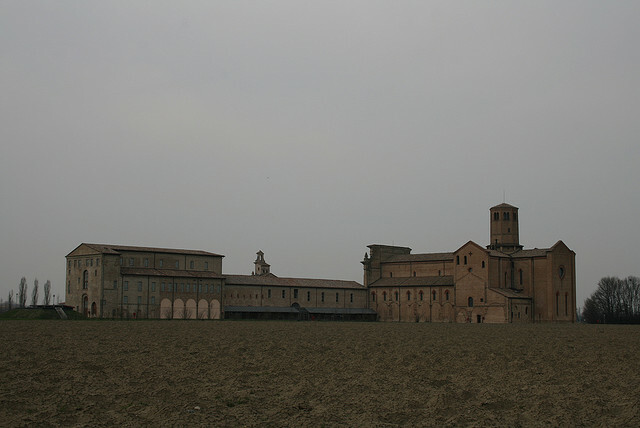 While both have been referred to as “Certosa di Parma” it is also important to note that both convents had been dissolved by the time Stendhal wrote his Charterhouse of Parma (1838). Also, the writer’s description of Parma is completely imaginary, yet, the mystery remains which of the two monastic complexes inspired Stendhal his famous Charterhouse of Parma.